Actress Yvonne Nelson has revealed to Abeiku Santana on 'UTV ATUU' Show that she wishes to marry her baby daddy. 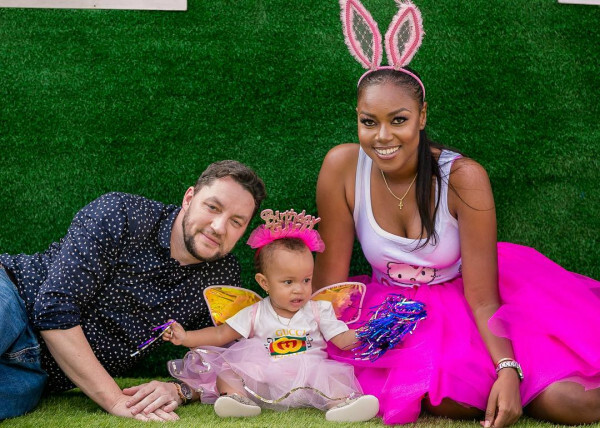 Yvonne Nelson and Jamie Robert still had a bond after their alleged breakup scandal. Yvonne Nelson in an interview with Abeiku Santana on his ‘Atuu’ program revealed that it is her wish to settle down with her baby daddy, Jamie Roberts. On whether they are still together contrary to reports that they have broken up, the ‘Sun City’ actress revealed that she believes Jamie has the intention to marry her, Yvonne told Abeiku Santana during the interview. It has emerged that the father of the child is a London-based photographer by name Jamie. He is known to have photographed personalities like Hollywood star, John Boyega, Sammy Forson, model Leanna Beckford, and Ava Enchill. The British photographer in 2017 managed to get Yvonne Nelson pregnant and gave her a bouncing baby girl named Ryn Roberts.